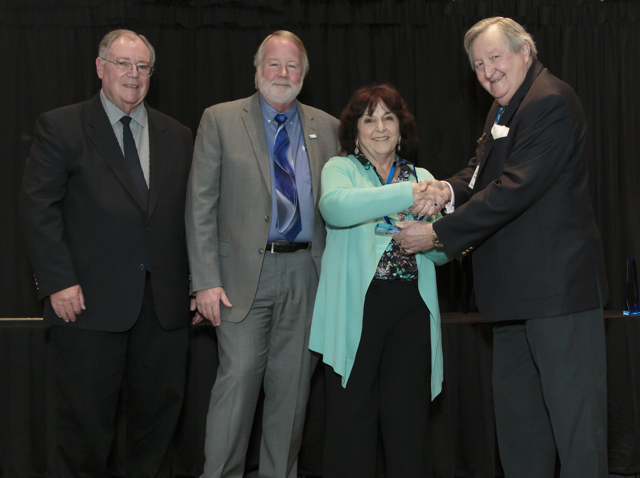 In recognition of Ms. Burke’s contribution to the application and commercialization of membrane desalination over her more than five-decade career. She began in freeze desalination and was a founding NWSIA Member and its first Executive Director. Patricia became the first Secretary General for the International Desalination Association (IDA) in 1985 where she served for 33 years as a global desalination advocate, expanding the world-wide influence of desalination and leading many trade missions to advance acceptance of the technology. In recognition of Dr. Channabasappa’s contribution to the industry in the 1960-70’s as the driving force for government funding to develop reverse osmosis technology. He worked as the Membrane Division Chief for the Office of Saline Water (OSW) in the U.S. Dept. of the Interior and served as a past president of the International Desalination & Environmental Association (IDEA), the predecessor to the International Desalination Association (IDA). 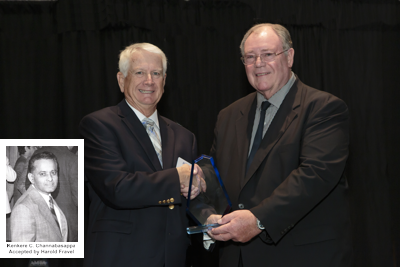 In recognition of Dr. Saltonstall’s contribution to reverse osmosis membrane development throughout his career. Starting in 1964 as an early innovator as Director of Research at Envirogenics (an Aerojet General company), Bill led his team of engineer-scientists in the development of the cellulose acetate/cellulose triacetate “blend” membrane. This “blend” RO membrane was the dominant pre-thin film technology and was installed in 100% of the 1978 Yuma Desalination facility.